We are the pioneers of massage and spa services and we love what we do, setting the bar high for others to follow. Ultimate relaxation, sensation and fun is our second name. We are well known in the city of Vegas for our excellent massage services. When you come here, you step right into tranquility. We specialize in creating an environment where people can get a choice of either eastern or western massage therapy. We have designed our facilities in such a way that they will make you relax, rejuvenate and revive all of the body’s senses to the best of our ability. We are not only so good and well known, but we are also experienced in our services. 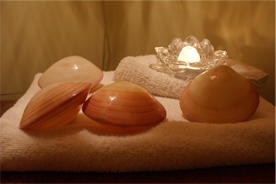 Ours are not massage services, but they are havens of serenity for all people. If you would like to beat that office fatigue out of your old tired bones, we will do that for you. What kind of massage do you want? Trigger point massage? Traditional Thai, the famous Swedish, couples massage or sports massage? You name it, we have got it for you. We believe in engaging you fully because after all, it is your money. With us, you will soon be lost in a world of peace and relaxation. Whatever atmosphere helps you relax, we have it all here. You and your skin can only find these experiences here. Sometimes a little too much ‘night on the town’ requires some therapy of the spa kind. Pamper yourself, with a massage, body scrub, manicure, pedicure, facial and any other form of relaxation that you deem fit. The products we use are well renowned and are made from purely natural ingredients, which mean that your safety and comfort is our number one priority. We know how to set the mood. The lighting is perfect, low and enticing, the music in the background is soothing and the herbal tea that we serve you is just wonderful. Here, we want you to lose your fatigue and misery and become engulfed in a world of serenity with the fatigue massaged out of your bones completely. Vegas Massage Girls hold true to our mission. When you are happy, we are happy, well, not exactly because you are happy, but because you will tell others about our services and we must make you happy to see? Our mission is to need those muscles until you become a new you, raring to go back to life and crash it, like a football quarterback. Welcome. We are open 7 days a week 24 hour a day.